Cal women’s basketball's head coach says Southwest Airlines employees went too far when questioning her about her child while boarding a flight, sparking conversation on Twitter that included a response from Chrissy Teigen. 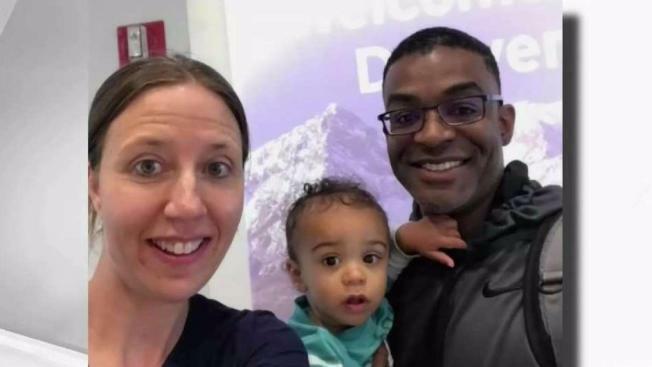 Lindsay Gottlieb said she was questioned while boarding a flight from Denver to Oakland with her 1-year-old son Monday night. She tweeted to the airline, "I’m appalled that after approx. 50 times flying with my 1-year-old son, ticket counter personnel told me I had to ‘prove’ that he was my son, despite having his passport. She said because we have different last name. My guess is because he has a different skin color." The coach got some backlash from other Twitter users who accused her of making it about race when the airline was simply being extra careful in trying to avoid a child trafficking situation. Among the responders was model and avid Twitter user Chrissy Teigen who tweeted saying she’s had similar experiences but understands the precautions that need to be taken. "Once I learned it's a precaution for the very real threat of child trafficking, I stopped being exasperated with it. Now I'm kind of worried when they don't ask," she tweeted. Gottlieb said Southwest replied quickly, apologized and said they would make this a coaching moment for the organization. "Southwest Airlines’ policy is to verify lap children are younger than the age of two by reviewing a birth certificate or government-issued identification," said Southwest in a statement. "Certain international locations require us to verify additional paperwork for those traveling with a minor. Domestic travel does not require carriers to match last names of a child and guardian." The company says they reached out to Gottlieb to address her concerns and ensured Southwest always strives for the best experience for their travelers. "We apologize if our interaction made this family uncomfortable — that is never our intention," the statement read. but yeah, it's definitely a situational thing, though. depends on the day, depends on the agent, you never know! going to London is the most difficult with her in my experience. I have to bring a file folder of papers.